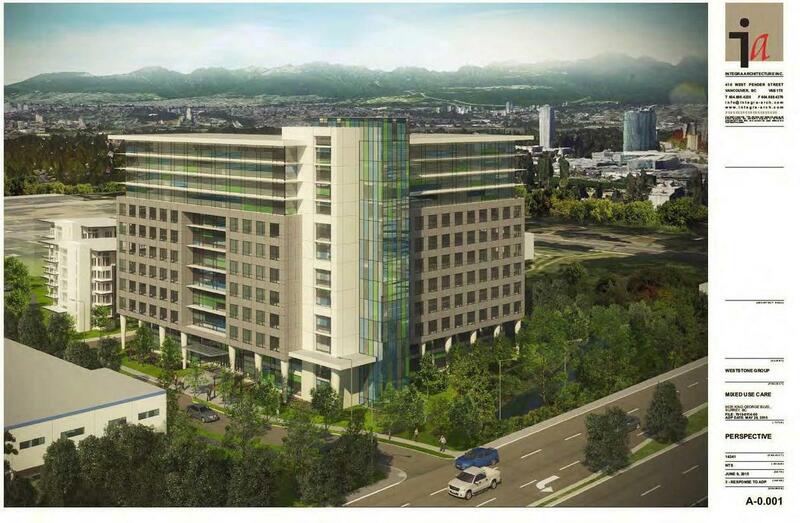 WestStone’s controversial Care Facility and Seniors Living project on the site of a mobile home park at 9525 King George Blvd is returning to Council December 5. The project received preliminary approval (1st & 2nd reading) back in June of 2015, but scheduling of a Public Hearing (3rd reading) was deferred to a later date until a City policy on manufactured home park redevelopment be updated, and resident concerns be addressed. Since then, WestStone has completed its acquisition of all 47 mobile-homes in the park, in accordance with the City’s updated manufactured home redevelopment policy, providing relocation assistance to park residents. 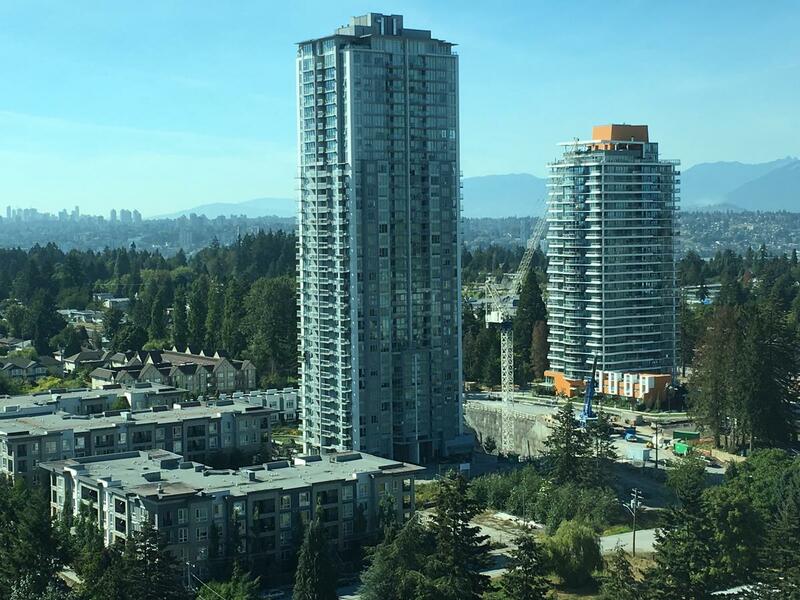 City staff are now recommending that Council set a date for Public Hearing and approve proceeding to Public Notification for a Development Variance Permit. According to WestStone, the closing date for the last of its acquisitions in the park will be in June 2017, at which point, the park will be vacated, and work can begin on site clearing, preparation, and construction, pending approvals. 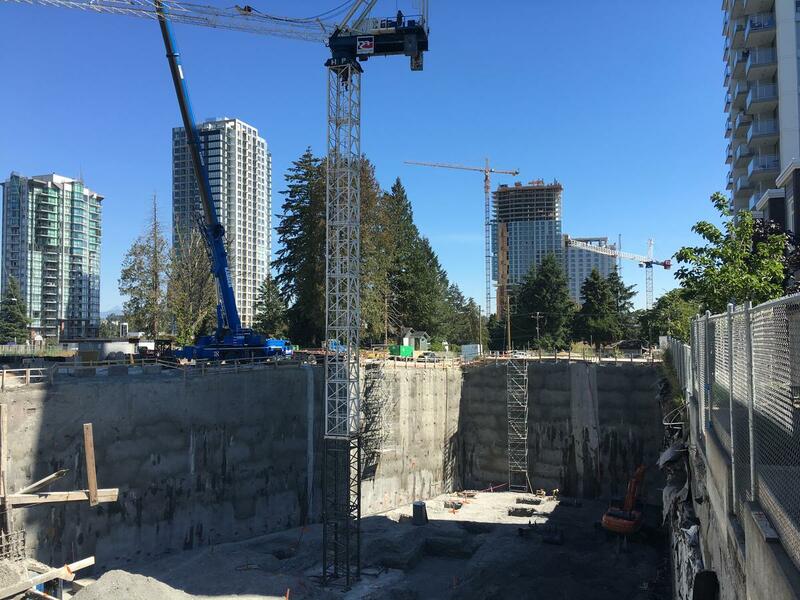 When complete, the project will bring a new 12-storey mixed-use care facility and office building to the site, along with two 6-storey independent seniors living apartment buildings. 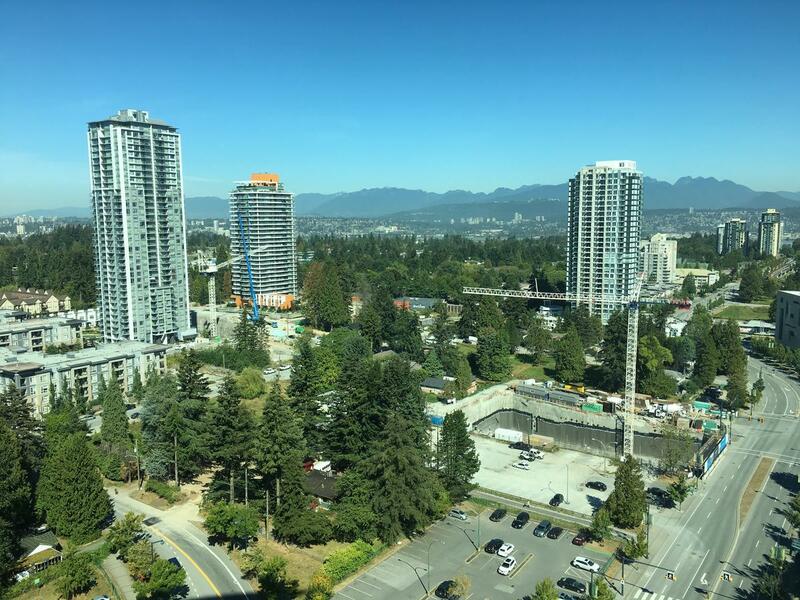 The site is located just south of 96th Avenue on the west side of King George Blvd across from Surrey Memorial Hospital, and will add to the growing cluster of medical-related care, research, and office uses in the Innovation Boulevard district. The project will also dedicate an extension of 95th Avenue through the site, improving the City Centre road network. 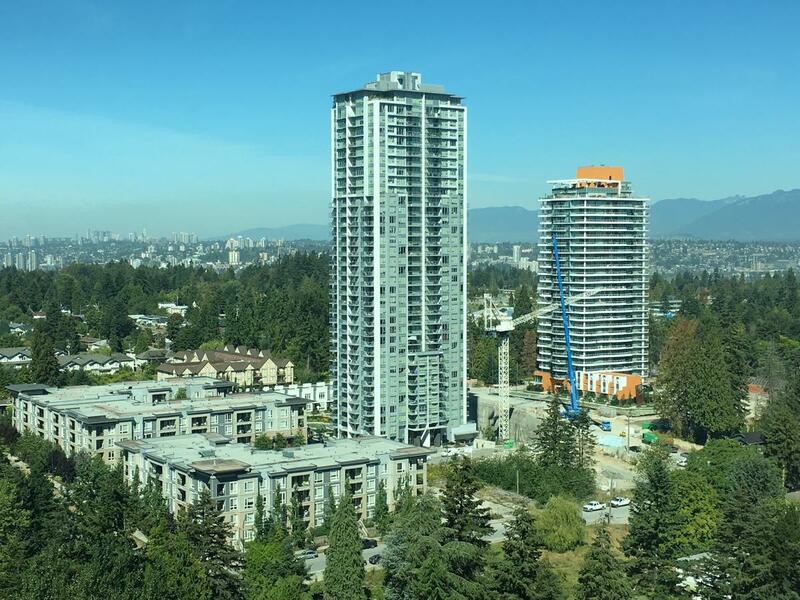 A luffing crane has now been installed at WestStone Group’s 36-storey Evolve Condo project in Surrey City Centre’s emerging West Village neighbourhood. 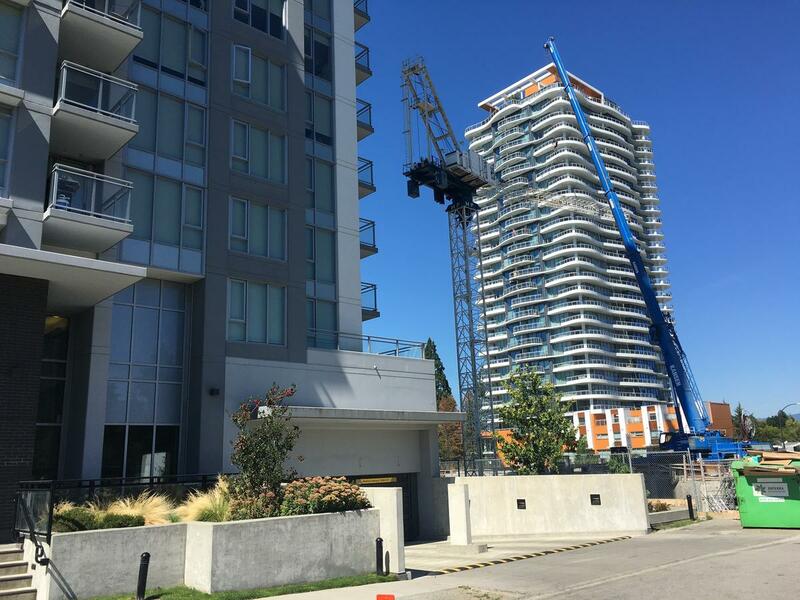 The use of a luffing crane is a rare sight in Metro Vancouver condo construction, as it is typically used in situations where movement of the crane is constrained by other buildings. 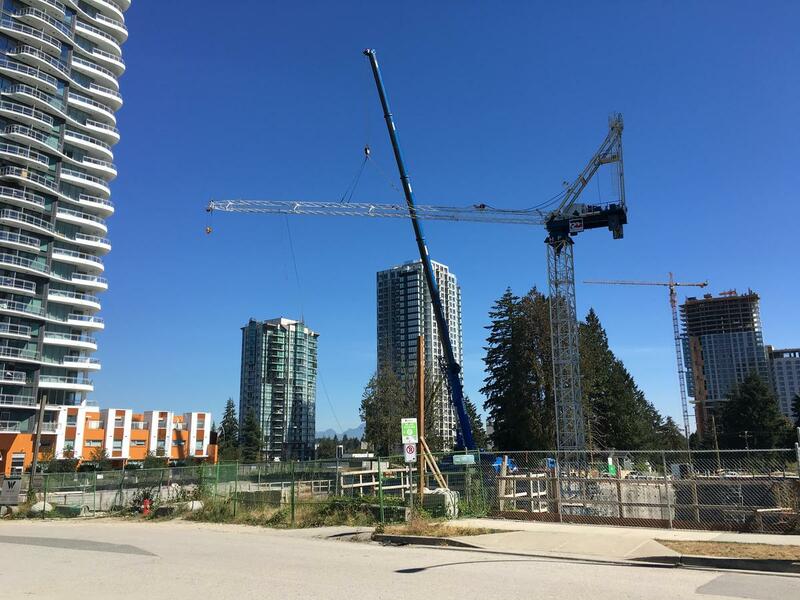 In this case, the adjacent 36-storey Ultra condo tower to the South of the project would prevent a standard crane from being able to swing a full 360 degrees. 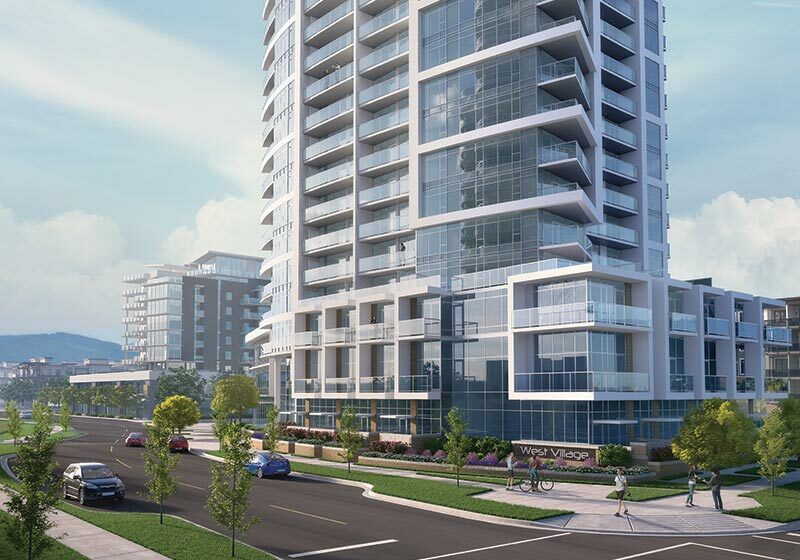 When complete in 2018, Evolve will add not only condos, but also retail and commercial space to the West Village neighbourhood along a newly dedicated 103 Ave, forming the beginning of a new neighbourhood centre. 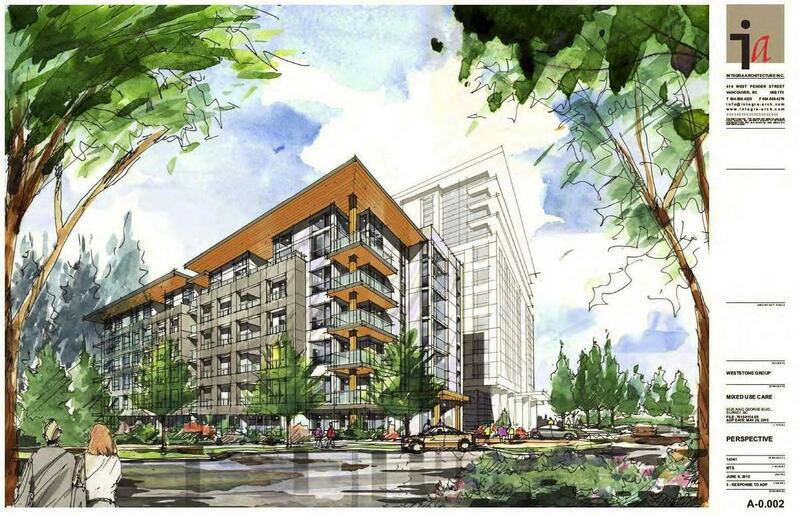 Four additional towers will be added through future phases of WestStone’s master plan for the area, along with retail, commercial space, and new pedestrian and road connections. 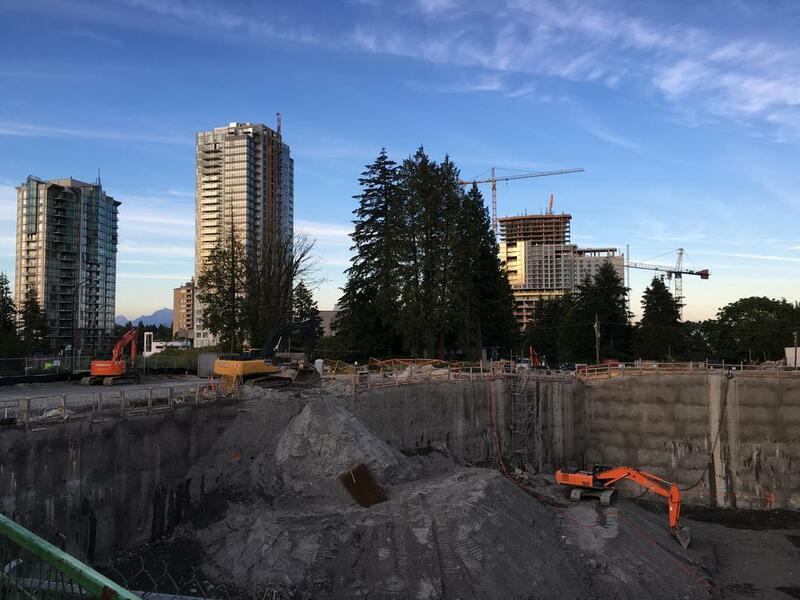 The never-ending dig at Weststone Group’s Evolve Condominiums site continues on. 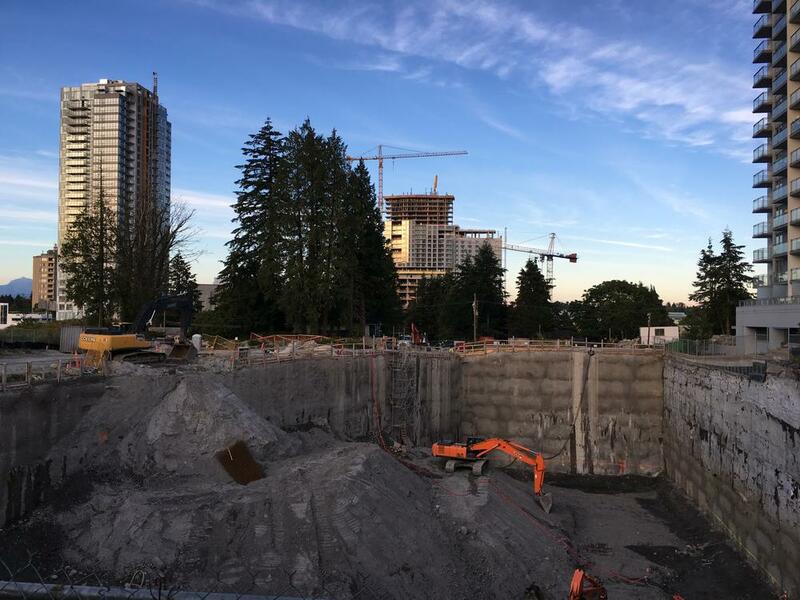 Now 6 months in, having started in January, it looks as though there are at least a couple more months to go until the pit is finally cleared, and a crane can be installed likely by late summer / early fall. When complete in 2018, Evolve will become the 2nd tower after Ultra in Weststone’s West Village neighbourhood. 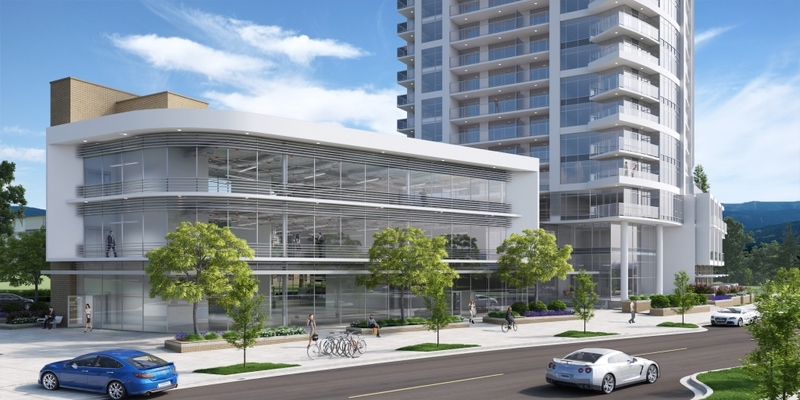 It will feature a 37 storey condo tower, with townhomes at its base, as well as a 3 storey office and commercial podium. The development will also open a new section of 103 Ave, and a new pathway, helping to improve road and pedestrian connectivity in the neighbourhood.